At Notre Dame, our teachers thrive on finding the best in each student and amplifying it. 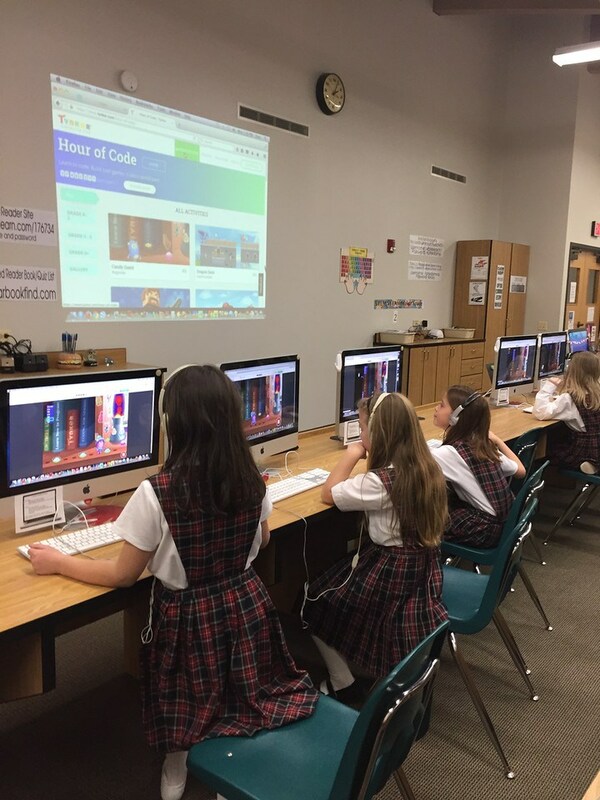 We support a modern learning environment that combines technology with best practices in education, to provide students the opportunity to reach their potential.We are committed to a Catholic education in which each student can achieve excellence in an atmosphere of trust and mutual respect.We know choosing the right school for your child is a challenging decision. Fill out the form below for a personal tour, so we can show you what makes our school renowned. I graduated from Notre Dame Grade School in 2009 after spending ten years at this outstanding school. I felt extremely prepared when starting high school at Benet Academy, and I would not have been to excel as much as I did without my background at ND. Notre Dame instilled in me the values of responsibility and accountability. The teachers gave us the skills to master a good work ethic and time management in order to successfully make the transition from 8th grade to freshman year. 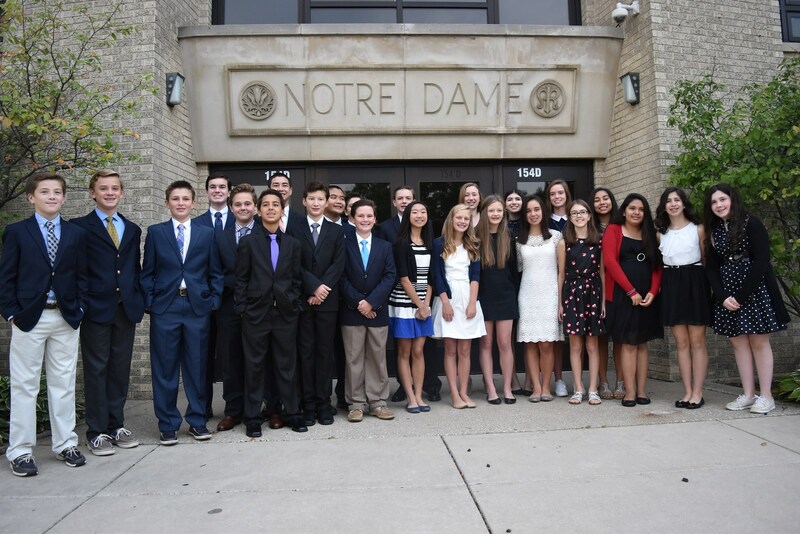 At ND, I received a well-rounded education that gave me the basics in English, literature, mathematics, and science which I used later in my high school courses and on college admissions tests. Notre Dame's enhanced my religious background - taught me the importance of service, generosity, and fairness, all in the spirit of Catholic teachings. The teachers and staff at ND want each person to grow both academically and morally. I graduated from Notre Dame in 2005. Throughout my ten years at Notre Dame I was challenged academically, spiritually, and morally. Notre Dame set me up for success at the high school, college and professional levels. At Notre Dame, our curriculum was not merely the addition of a religion course to the usual academic subjects, we were taught to make Christian sense out of what we learned in natural science, math, and history classes as well as in art, music, and literature. Perhaps what I valued most about my time at Notre Dame was the connection I felt with my classmates, their families, our teachers, coaches, priests and parish. In an increasingly secular world where religious values are marginalized the life lessons I learned at Notre Dame have helped me keep my faith integrated in my relationships and my career. I attended Notre Dame grammar school, Benet Academy and the University of Notre Dame. When I evaluate my educational accomplishments, from early on I see myself as a student with dedication and an extremely diligent work ethic with the desire to achieve to the best of my ability. These traits/keys to success were ingratiated in me not just by family but by the schools I had the privilege of attending. Notre Dame, my foundation, was intrinsic in my education, of course in academics, but it also served as an environment that enhanced and promoted the ethics of morality and spirituality. Without the expertise of an outstanding foundation, I do not believe I would have excelled to my current position today. Notre Dame taught me to believe in God and myself while life's greatest rewards come from serving the world at large. Today I'm fortunate enough to do this as a practicing physician. Nothing is of greater importance than the foundation for a child's learning experience. And that is why I've chosen to send my own children to Notre Dame Catholic School. We are very pleased to have our children attend Notre Dame school. Each one of our four kids entered the school in the Pre-K class, and all have enjoyed attending each year. There is a very high standard of academics, with a strong concentration on faith and how to become a responsible person. 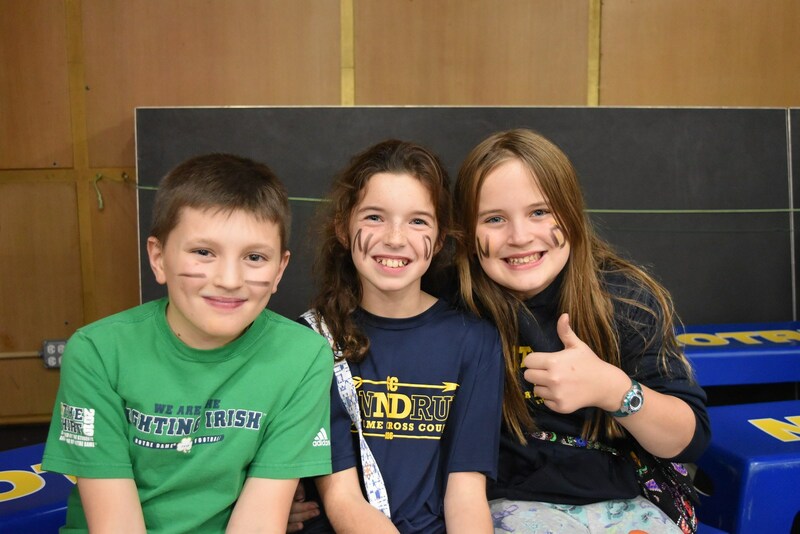 The tightly knit community helps the children feel secure, and the strong connection that the principal and faculty have with each student is immeasurable. One of the first things we did when we moved to Oak Brook, was to look for a parish to join. To make a long story short we fell in love with Notre Dame. Our children were baptized there and when it came time for Pre-K, Notre Dame was on our short list of schools. 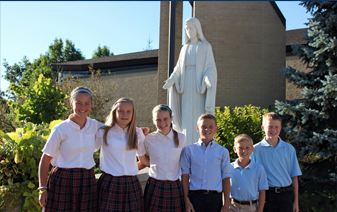 A school with high academic standards, no nonsense leadership, and a rock solid foundation of Catholic values. We could not be happier with our decision. Both of our children love Notre Dame and consider it their second family. As parents we have made many friends there, the school and parish have become a very important part of our lives. 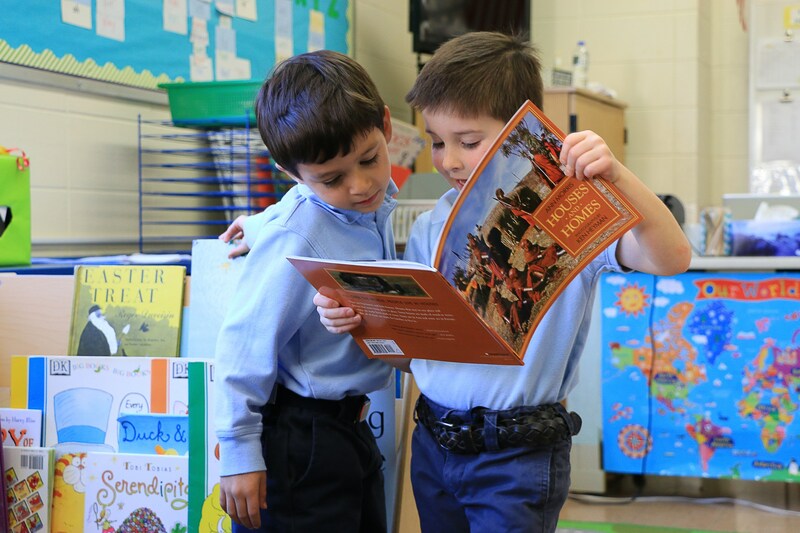 We chose Notre Dame School because of its high academic standards, daily faith instruction and philosophy of service to others. What our entire family has gained is immeasurable! We are proud of the accomplishments of our students and graduates. 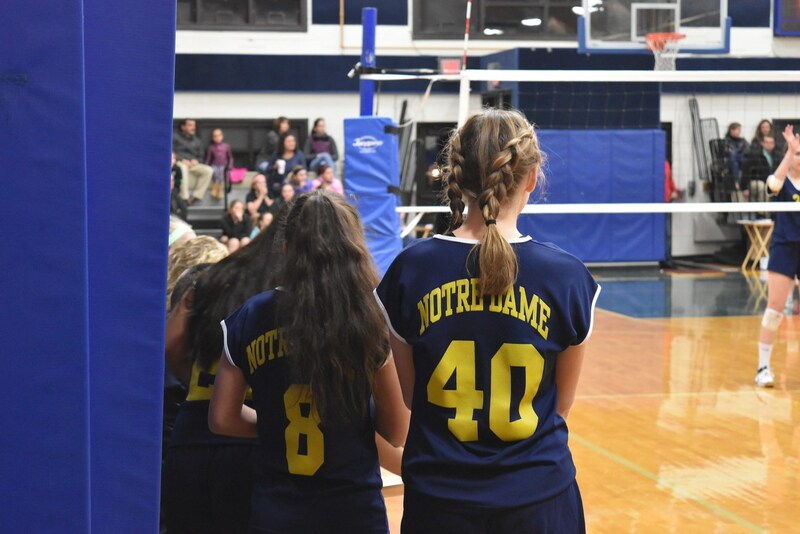 A Notre Dame School education provides them with the skills, values, and confidence to distinguish themselves as leaders. Our graduates go on to become National Merit Scholars, valedictorians, athletic team captains, National Honor Society members, debate team captains, student council presidents and school theater lead performers at the areas top high schools and then the worlds top colleges and universities.